Limited Edition Trunki – now in Australia! Meet Bernard and Harley, two of the cutest members and my favourites in the Trunki family. We just travelled with our three and four-year-old daughters for more than a month and their Trunkis were like having a favourite and very useful toy along for the trip. Owners of the Trunki kid suitcase already know what a blessing it is. 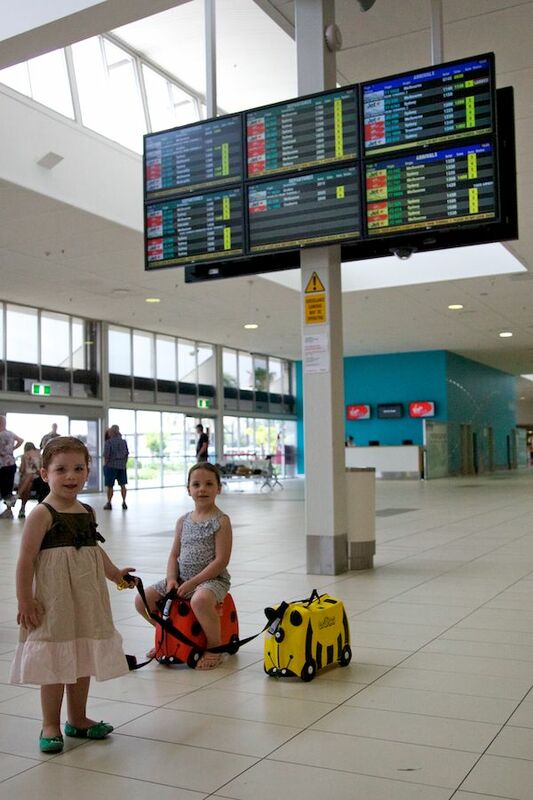 Giving kids something to ride on at the airport while safely storing their necessities inside takes away a lot of stress when the pressure is on to get somewhere. I sure don’t fancy chasing a wayward toddler around while pushing a family-sized load of luggage! 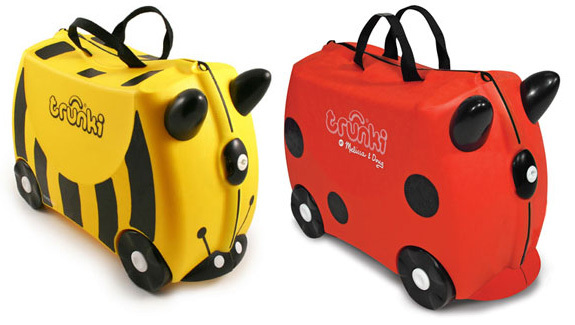 The Bee (Bernard) and Ladybird (Harley) have all the comforting features of the regular range, such as internal toy seatbelts, rubber rims to prevent finger trapping, handle, a strap so a parent can pull it along, secret compartments, sturdy locks, luggage ID label, and stabilisers to stop kids falling off. The Trunki is also approved hand luggage size so there’s no need for painful separations at the conveyor belt and its the perfect distraction at the departure gate. Trunki have thought of everything, even including a little play passport! For ages 3+, the Trunki starts at $84. If the ladybird and bee is not your scene, they also come in orange (tipu the tiger) and the new limited edition Penelope the Princess Carriage or Freddie the Fire Engine, as well as the original pink or blue. Available from Yooneek with prices ranging from $84 -$89.